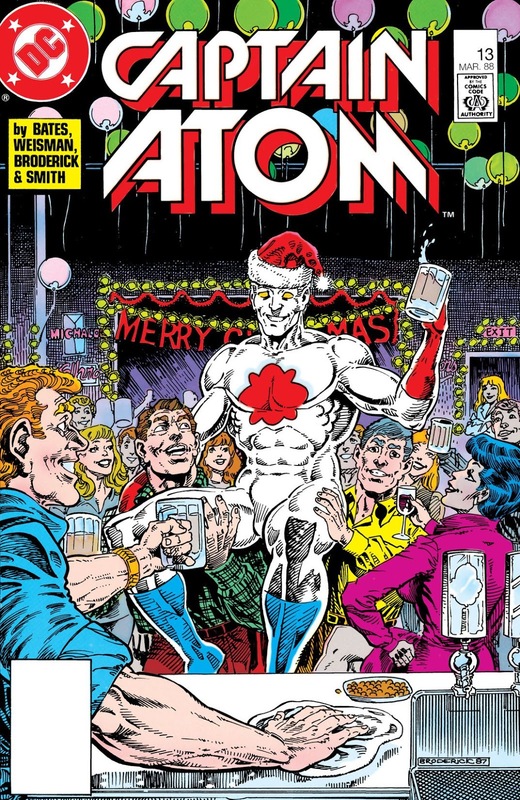 It’s time for the Collected Editions top comic book trade paperback and graphic novel gift recommendations for 2018! Continuing our tradition, this list comes from the suggestions you emailed to me or posted on our Facebook page along with my suggestions. 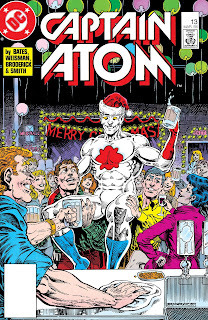 I hope you'll find some ideas here for yourself and for those on your holiday list, both of the comics fan who has everything or for someone you're introducing to comics for the first time. For additional ideas, don’t miss my 2017, 2016, 2015, 2014, 2013, 2012, 2011, 2010, 2009, 2008, and 2007 lists for more comic book suggestions. Most people know about the "Death of Superman" but fewer, I think, about when Bane broke Batman's back and sent him (momentarily) into retirement, with Bane having been relegated to that time Tom Hardy talked funny (and not too long from now we'll find out what Dr. Ray Barnett can do with the character on Gotham). 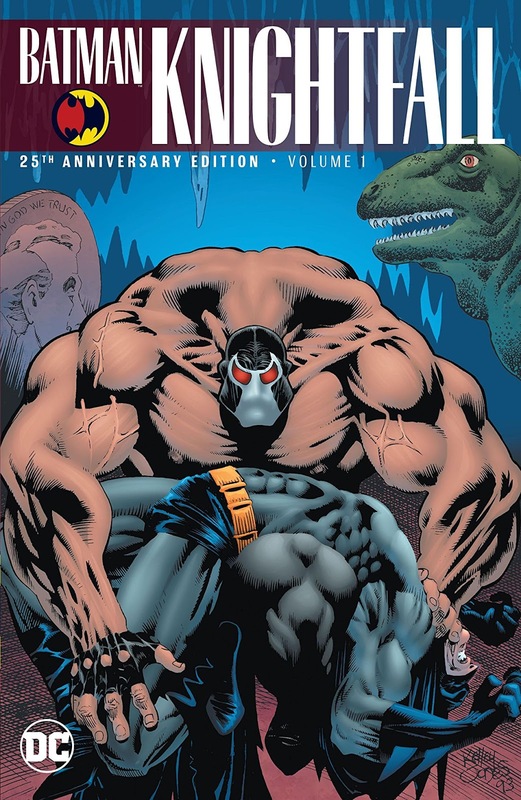 "Knightfall," DC's Batman equivalent of Superman's death, has been reprinted a lot by DC over the years, but never with as much tertiary material as these recent 25th anniversary editions (paperbacks of three big hardcover omnibuses previously released). Batman: Knightsend is the most recently released of the nine-volume set, with the final two books coming in 2019. This is a nice gift package (the spines all match up and such) that you can complete over the course of next year. Cool and controversial, Batman: White Knight is an alternative take on Batman, the Joker, and Harley Quinn. Full of high politics and high action, Sean Murphy's take on Batman is separate from the DC universe, so you (or a friend you're trying to get into comics) don't have to be a Batman whiz to get into this book -- but it takes a lot of cues from the Batman movies and cartoons, so a lot of it should feel familiar to a casual fan. I gave this one a rare five stars in my Batman: White Knight review. Over the years I have not actually always been a fan of Peter Tomasi and Patrick Gleason's stories of Batman and his son Damian Wayne as Robin. But the eight-issue story collected in Batman and Robin: Bad Blood (formerly the hardcover Batman and Robin Vol. 1: Born to Kill) is one of my all-time favorites, bloody and surprising and gripping, the kind of story Tomasi and Gleason do best. The "DC Essential Editions" are affordable paperbacks; this book is sure-to-please at a good price. The big comic book movie of the end of the year is Aquaman, and DC's got plenty of new books for the Aqua-fan in your life. 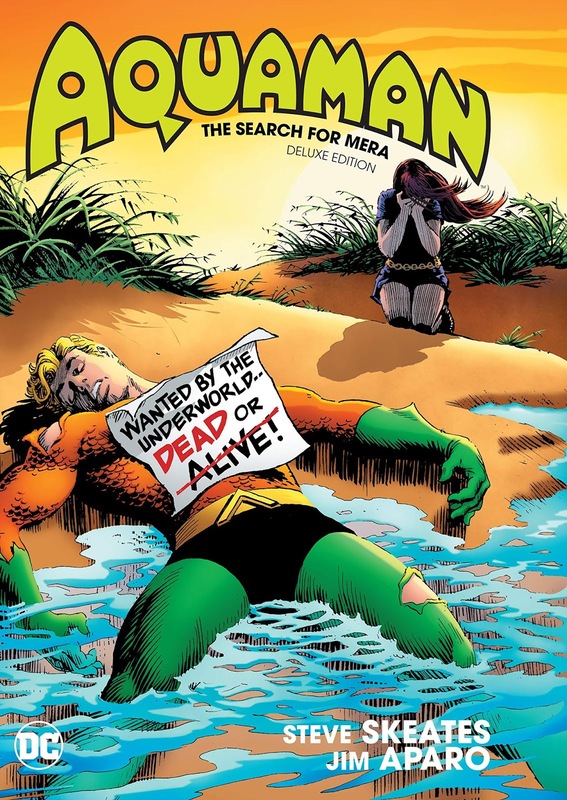 Aquaman: The Search for Mera is a slice of 1960s Aquaman comics; the plotting and art may be a little dated, but characters from the movie appear, and for the casual reader this is probably the most recognizable Aquaman of the bunch (more Super Friends than Jason Momoa. Aquaman: Underworld is a lushly painted, supernatural-fantasy tinged hardcover; it's gorgeous, well-written, and has the benefit of being part of among the most recent Aquaman comics storylines, though this more swords-and-sorcery take on Aquaman won't be for everyone (and the story really isn't complete without two more other books). Aquaman: War for the Throne also features a fairly recognizable Aquaman, characters from the movie, and the Justice League, to boot -- this is a reprint of a Justice League/Aquaman story from a couple years back called "Throne of Atlantis," now under a Jason Momoa cover. This DC Comics era (the New 52) has ended, but this is still a good standalone Aquaman book, and there's an animated movie of this story as well. Crisis on Infinite Earths is one of the defining stories of the DC universe, but for the past thirty years, about all you could read of that story was the miniseries itself. 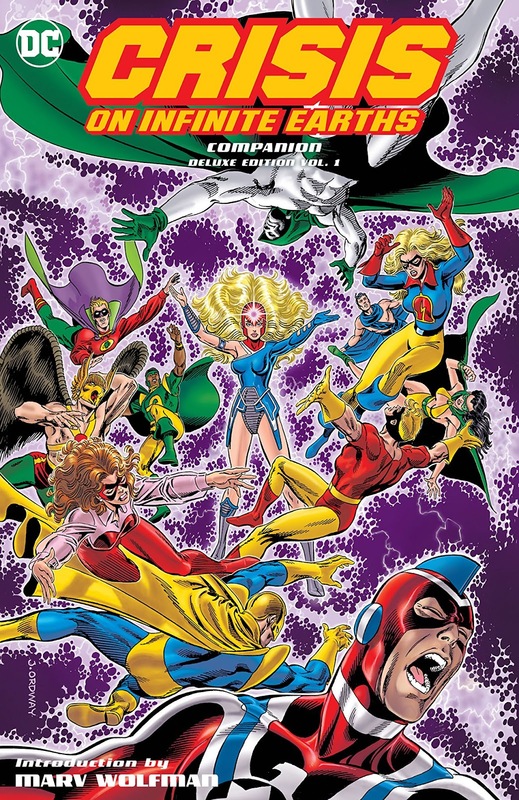 The Crisis Companion deluxe hardcovers are the long-awaited missing piece for any fan's collection; the first volume just came out and the second one is due in April, so get one for the holidays and follow it up with another for a birthday or other special event. One of the biggest books of the end of the year is Man of Steel, written by Brian Michael Bendis. The writer has a lot of name recognition as a former Marvel superstar and Man of Steel leads into Bendis's new run on all of DC's Superman titles -- so this is the perfect book to help someone who may (or may not) know Bendis from elsewhere get hooked on a DC title. New in hardcover for your favorite Marvel (or Marvel movies) fan is Marvelocity: The Marvel Comics Art of Alex Ross. 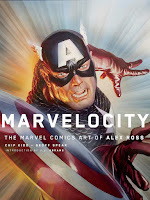 Ross is an extremely well-known and distinctive painter who's drawn just about every superhero out there; Marvelocity collects not just his published work, but also behind-the-scenes sketches and process pieces, character designs, even a new ten-page Spider-Man story. This is a great "gift book," and also out there as a companion, ten or so years older, is Mythology: The DC Comics Art of Alex Ross. The Venom movie was controversial to say the least, but the fact that they made a Venom movie at all is a testament to interest in the character. The Spider-Man vs. Venom hardcover, released earlier this year, is over 1,000 pages of Venom's history, from earliest appearances of Spider-Man's symbiote costume on down. You won't find more Venom in one place than this. In this year's Avengers: Infinity War, moviegoers got their first chance to spend extended time with cosmic baddie Thanos. If that's piqued your interest (or someone you're trying to get into comics), a low-committment option is Thanos: The Infinity Siblings, published earlier this year, and Thanos: The Infinity Conflict, two Thanos-centric hardcover graphic novels by Thanos' creator Jim Starlin, taking place relatively in their own continuity. These are two of a planned trilogy, so there might be one more you can offer as a gift later. 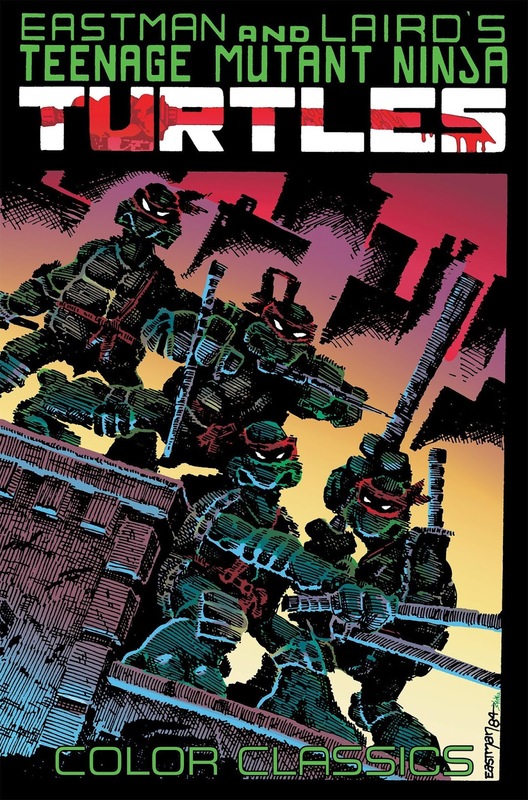 The original black-and-white Peter Laird and Kevin Eastman TMNT comics, newly colored and collected in reading order by IDW. The first volume came out earlier this year and the second volume will be out in April (including a Cerebus appearance with Dave Sim). Another classic of the genre is Stan Sakai’s Usagi Yojimbo, the long-running saga of a samurai rabbit. This two-paperback-volume slipcase collects 10 years of stories from Fantagraphics. Alan Grant and John Wagner will be names familiar to 1980s Batman fans, Scottish and British comics creators respectively. The two wrote a sci-fi/horror comic strip called 13th Floor for Scream! and Eagle magazines, about a sentient computer that protects tenants of an apartment complex and terrorizes others (the description sounds a bit like the classic Spectre to me). For a little something different, the strips are newly collected in one book. • Who Is Stan Lee? I try to include something every year that would be a good gift for kids (even to donate to your local school) that you can also add to your order for free shipping. 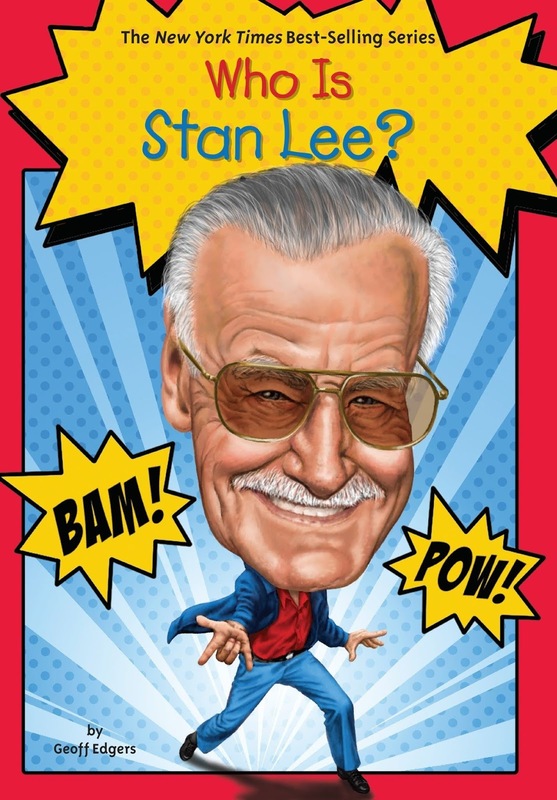 I'm putting this together just as Stan Lee has died, so here's an illustrated bio of Lee for kids that explores his comics legacy. Thanks to everyone who supports Collected Editions. It's been a fun year, especially having more time to work on the DC Trade Paperback Timeline this past year and staying more current on newer trades (DC double-shipping some titles each month really spoiled me, I tell you!). Your comments make it all the better and I appreciate everyone who takes the time to reach out -- it wouldn't be the same without you!